Find out how Dr. Melody Sandells is using the NWP SAF Radiance Simulator in a project aiming to improve the exploitation of surface-affected microwave sounding data in NWP. Figure 1. Trail Valley Creek, NWT, Canada during the 2018 MACSSIMIZE field campaign. Photo credit: Nick Rutter. Transmission of radiation through the atmosphere depends on its chemical composition, which makes satellite observations useful for determining atmospheric conditions for weather forecasts. The atmosphere is virtually transparent to microwave radiation at some frequencies making these ideal for surface observations. Partially transparent frequencies provide information on the profile of the atmosphere but are also affected by the surface properties. At present, Arctic satellite observations have high rejection rates in numerical weather prediction because of the ‘noise’ of the surface. Accounting for the influence of the surface could unlock a vast amount of satellite data in the Arctic to improve weather forecasts in regions that have few other observations. Over the course of a season, the contribution of a snow-covered surface to the satellite measurement changes with the depth of the snowpack and the metamorphism of the snow crystals. Microwave scattering in snow is highly sensitive to the microstructure: large grains scatter radiation much more than small grains. 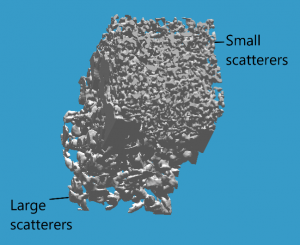 The Snow Microwave Radiative Transfer (SMRT) model was developed to be able to use new microstructure observation techniques such as micro-tomography as shown in Figure 2 and account for the role of snow microstructure in microwave scattering for Earth observation applications. Figure 2. Micro tomography image of snow section. 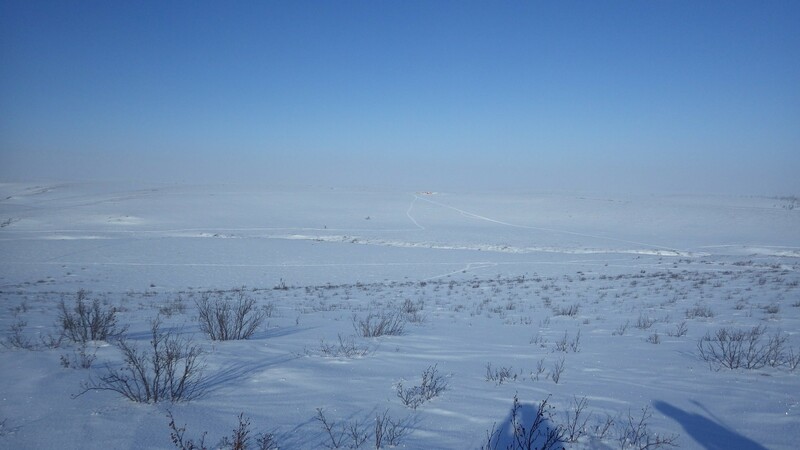 The Arctic Emissivity of Snow for Operational Prediction (AESOP) project is a NERC-funded joint initiative between Northumbria University and the Met Office that assesses the benefits of including SMRT in the Met Office operational numerical weather prediction system. We are looking at how well SMRT simulates ground and airborne brightness temperatures at frequencies 89, 118 (particularly sensitive to Oxygen), 157, 183 (particularly sensitive to water vapour) and 243 GHz. These frequencies are similar to those currently available on AMSU-B/MHS or are planning to be available with the Ice Cloud Imager and Microwave Sounder instruments (EUMETSAT satellites). 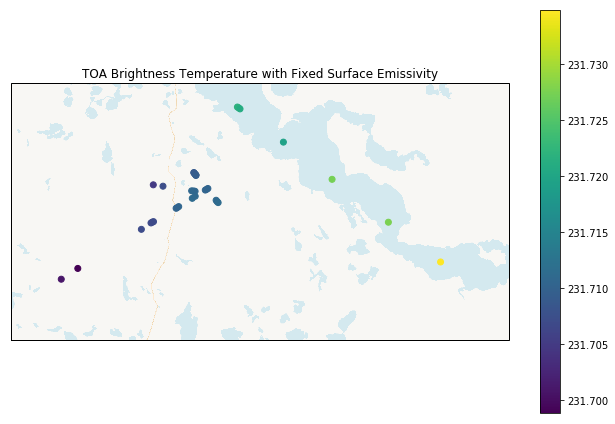 We use data from the MACSSIMIZE (Measurements of Arctic Clouds, Snow and Sea Ice nearby the Marginal Ice ZonE) field campaign that took place in Trail Valley Creek, Northwest Territories, Canada in March 2018. 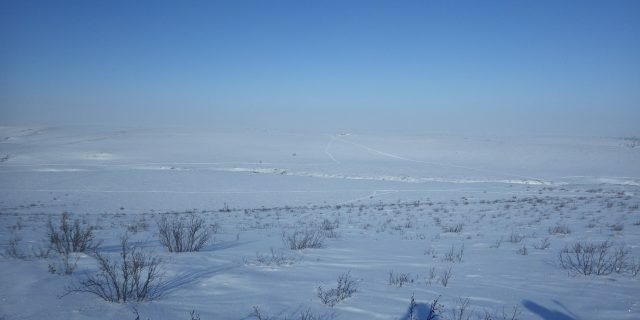 Snow pit observations of stratigraphy and microstructure were used to drive SMRT, and simulated brightness temperatures compared with low-level (1500ft) airborne observations at all frequencies under mostly clear conditions. The next step will be to drive the NWP SAF Radiance Simulator with forecast information for the MACSSIMIZE campaign and microwave emissivities derived from SMRT to demonstrate its impact on the top of atmosphere brightness temperature. If we see more variability than from the default fixed emissivity available in Radiance Simulator (as shown in Figure 3) this will indicate that SMRT could be used to extract more information from satellite observations in the Arctic than is currently possible, giving access to millions of additional data points for weather forecasts. Figure 3. Top of Atmosphere (TOA) brightness temperature at snow pit locations simulated with NWP SAF Radiance Simulator under the assumption of fixed surface emissivity.